I hadn’t intended to write a book about Apollonius of Rhodes’ Argonautika, but once I began reading and studying the poem it was difficult not to. A Greek epic poem in four books about the voyage of Jason and the Argonauts in quest of the Golden Fleece, it was written in Alexandria around, or a decade or two before, the middle of the third century BCE in the second generation of Greek rule over Egypt—that is, during the reign of Ptolemy II Philadelphus. It is not as well known today as it deserves to be (there are good recent translations by Peter Green and Richard Hunter), but it was widely read in antiquity and influenced Roman poetry; it was, for instance, one of the formative texts behind Virgil’s Aeneid. There are many ways to enjoy this poem: for its language and diction, for its reworking of earlier Greek literary and cultural traditions, for its brilliantly sophisticated narrative techniques, for the ultimately doomed affair between Jason and Medea, the model for the disastrous affair of Virgil’s Aeneas and Dido—to name just a few. But what intrigued me especially was the question of why a poet in third-century Alexandria, working under royal patronage in the Museum and Library, would write an epic about the voyage of the Argo, which, in Apollonius’s account, takes in vast distances in the Black Sea, the Adriatic, and the western Mediterranean. Why all the vivid descriptions of places and landscapes? Why is Apollonius at such pains to create so close a correspondence between poem and voyage that the poem ends exactly at the moment when the Argonauts step off the ship back home in Greece, with the voyage accomplished? 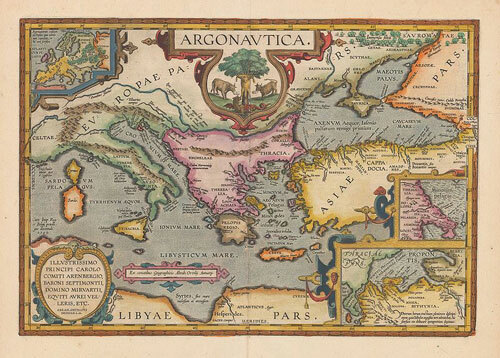 Many of the places that the Argonauts visit in the Propontis (the Sea of Marmara), along the south coast of the Black Sea, in Italy and Sicily, and in North Africa had been well known to the Greeks for centuries. Many were the sites of important Greek cities in historical times. Apollonius carefully locates the Argo’s voyage in the generation before the Trojan War, and he asks his readers to imagine these places when they were untouched by Greek culture and, from a Greek perspective, alien, unfamiliar, often threatening. Why did he do so? How could this narrative speak to contemporary readers? How can it interest us today? No doubt, as others have thought, Apollonius was responding to recent advances in Greek geographical knowledge and the widening of Greek cultural horizons that Alexander’s conquests had brought. But that statement barely begins to answer my questions. So I turned to discussions of space (and its correlative, place) that have been taking place in the social sciences since at least the 1980’s, many of them inspired by Henri Lefebvre’s La production de l’espace (1974). In these discussions, space is a more comprehensive concept than geography. If geography, which was in the ancient world concerned with location and measurement, aimed to produce accurate maps, spatial theory sees the map as a cultural production, a representation of space that often has political implications (imperial control, for example). Its central insight is that space is not merely the setting for what human cultures do but is shaped by cultural activity and helps shape it in turn. We create neighborhoods, towns, and cities by erecting buildings and laying out streets to connect them, and these spaces then channel our activities and direct our relations with one another in certain ways. We give names to landmarks (rivers, mountains, islands), tell stories about significant events that occurred there so that we know space through narrative, and produce them as parts of cultural space through our movements between them. Space, then, is not only fixed and absolute; it is also, and more significantly for our lives in society, relative and relational. The Argonautika, I argue, is a profoundly spatial text. As the Argonauts travel in great loops to both east and west, they bring together the places at which they stop to define a huge space with mainland Greece at the center. This depiction of a large part of the inhabited world reflects the way we all, individually and collectively, experience space: from the self outward. But it also reproduces one of the ways—an ethnocentric way—the Greeks traditionally thought about the world. The settings for some major episodes in the poem were to be (or from the reader’s point of view, had for centuries been) the sites of important Greek colonies—for example, Cyrene in north Africa, which the Ptolemies claimed and from 246 BCE directly ruled. The Argonauts’ actions in these places are archetypal for Greek colonization, and their interactions with indigenous peoples often reproduce colonialist ways of thinking. This is an example of the way places are changed by new relations between people. More generally, the Argonauts leave signs of their presence, sometimes in the form of objects or tombs of comrades who are killed, sometimes in a new name for a place that preserves the memory of their presence. 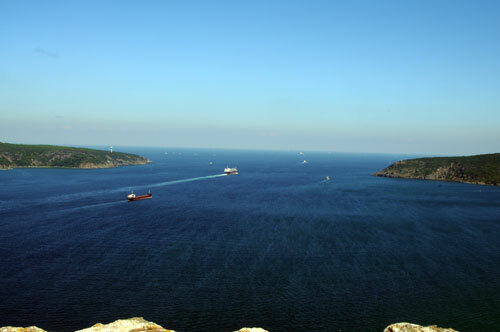 The narrative of the Black Sea voyage especially is full of aitia—stories of origin and cause that explain a place’s name or a set of actions that repeat something the Argonauts first did there. Space thus becomes a signifying system, and the interlinked places that make up that space are given a new Greek significance through narrative. In one aspect, then, the poem appears as a strong affirmation of the primacy of Greek culture. At the same time, again and again this notion of cultural superiority is questioned or qualified. At times the Argonauts, voluntarily or inadvertently, act in ways that betray the standards distinctive to Greek culture, and non-Greeks are their victims or appear in a better light. Even episodes that seem to appropriate space to a Greek point of view contain elements that undermine that tendency. And at key points the Argonauts lose control over spatial definition and are confronted with forces that resist their power—most prominently in Colchis, ruled by King Aietes, from whom Jason must win the Golden Fleece through Medea’s magic rather than a straightforward trial of strength. These regions resist appropriation to a Greek construction of space, and the interaction between Greeks and non-Greeks in them is complex, so that cultural identities and the boundaries necessary to cultural definition are opened to questioning. So the Argonautika holds contrary impulses in balance. It simultaneously affirms and questions the security of cultural definitions. This mixture must have corresponded to the actual experience of Greeks living in Alexandria, a heterogeneous city but not a “melting pot,” where cultural distinctions were both asserted and open to question, where Greeks would have felt both compelled to assert the primacy of Hellenism in the face of cultural difference and curious about and receptive to other cultures. Considered as a relational space, Alexandria showed the same ambivalence. On the one hand, it was a Greek city on the edge of Egypt, oriented to the Mediterranean more than to the Nile valley. It had many of the buildings and other spaces characteristic of a Greek city, and the Library made a strong claim, to other Greeks as well as to Egyptians, of Ptolemaic cultural hegemony. On the other hand, as underwater excavations in the harbor have begun to tell us, it was a Greek city whose appearance had strong Egyptian inflections. The Argonautika, written in this city of ambiguities and questions, used myth and the imagination to explore issues of cultural identity that must have been urgently important to its contemporary readers. It can also speak to us today, in our intercultural world, about questions surrounding the relation between the self (individual or collective) and others. William G. Thalmann is Professor of Classics and Comparative Literature at the University of Southern California. He has written books an articles about ancient epic and drama, including Conventions of Form and Thought in Early Greek Epic Poetry, The Swineherd and the Bow: Representations of Class in the Odyssey, and most recently, Apollonius of Rhodes and the Spaces of Hellenism.